Tettenhall Rotary Club have organised the collections, annually supported by POWER PLEAS members and recipients since 1994, initially thanks to the efforts of Wolves’ Vice-President Baroness Rachael Heyhoe-Flint. Over the years the Rotary Club have raised £42,828 from their collections, of which £28,266 has been given to POWER PLEAS. The remainder of the funds were donated to Compton Hospice in the early years of the collections, but Tettenhall Rotary Club now support Compton in other ways and devote all of their Wolves’ collections to the wheelchair charity. 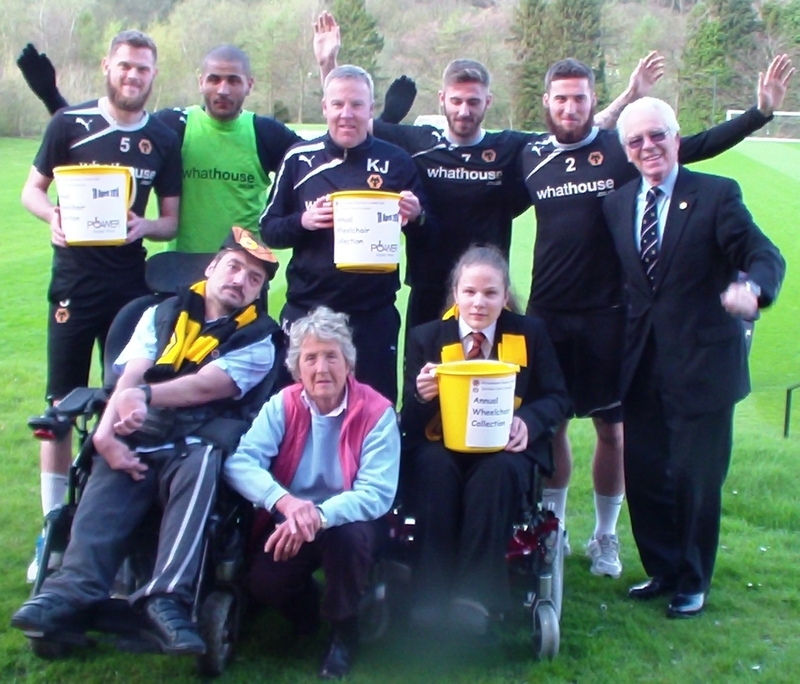 As a result of the fundraising and generosity of Wolves supporters for the last two decades a total of 20 wheelchairs have been donated to local people, which amounts to a fifth of the total number of wheelchairs the charity has financed. 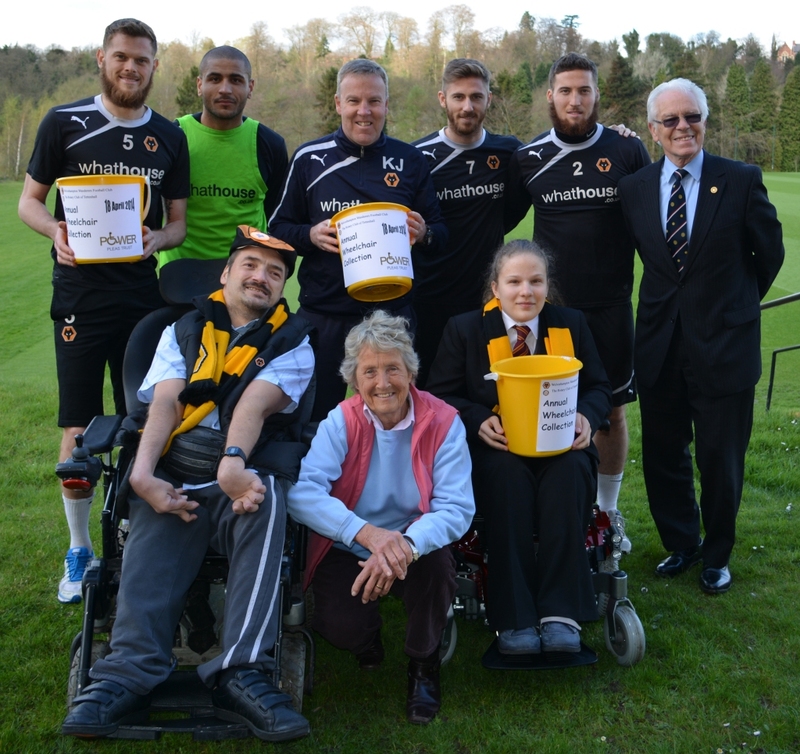 Both the first and most recent recipients of those wheelchairs – Darren Langston and Anna Gundarova – will visit the Wolves training ground to meet staff and players to help promote this year’s collection. "Darren, now 39, is a member of the POWER PLEAS committee and has helped at almost all of our collections,” says POWER PLEAS Chairman, Keith Berry. “He is an avid follower of Wolves’ performances on the pitch, and checks all the fixtures and results on his laptop which is quite an achievement for someone with his condition of cerebral palsy. It is amazing to see him hit the keys with the knuckle of his right thumb and follow the fortunes of the club, and his room is adorned with Wolves memorabilia." Keith continues, "Our latest recipient, Anna, is a 13-year-old student at Highfields School and lives in the Warstones area. Anna is now able to travel to and from school with ease using her new wheelchair. “Sadly, several of the children who received wheelchairs had life-limiting conditions and are no longer with us physically, but their memory continues to inspire us and none more so than Paula and Michael Davies, who both serve on the Committee. Their only child, Michael, died days before starting his first job in IT at Wolverhampton Council. Michael and his dad have a brick in the Molineux Wall! 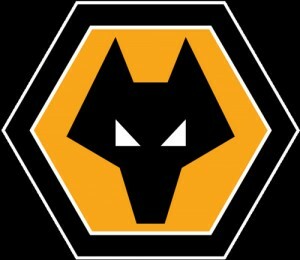 Paula is the Treasurer of the charity and actively raises funds over and above the Wolves collection. “The collections carried out at Wolves – and the generosity of the Wolves fans – has been a great help to what is a small voluntary-run charity, and we remain very grateful both to Wolves and Tettenhall Rotary Club for their continuing support. “Hopefully the Wolves supporters will again give what they can when they see our collectors at the Rotherham game, and in doing so help make a real difference to needy youngsters in the local community." 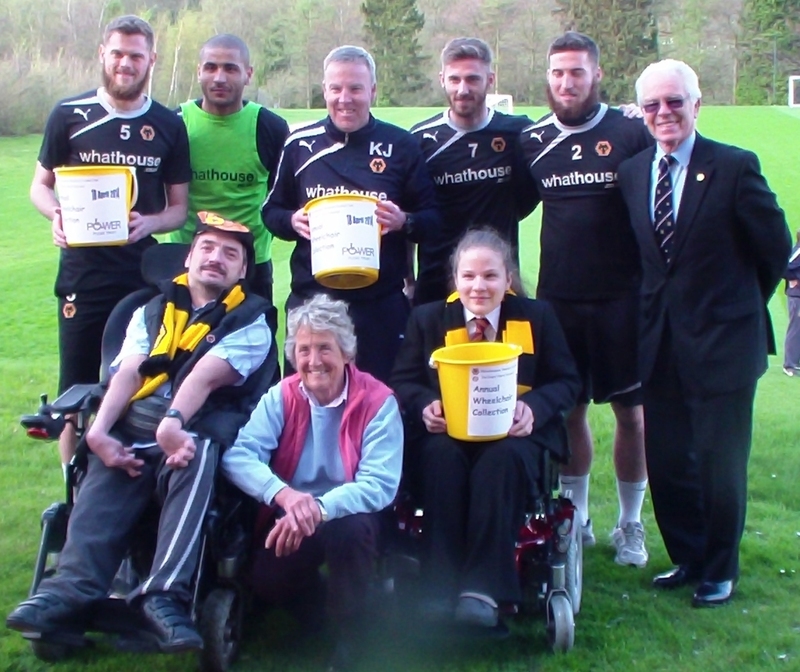 At the training ground pledging their support were left to right, back row: Richard Stearman, Leon Clarke, Kenny Jackett, James Henry, Matt Doherty, Alan Russell (Tettenhall Rotary Club); front row: Darren Langston, Baroness Heyhoe Flint, Anna Gundarova.